The WOWSlider app covers all from the primary elements of WOWSlider advanced drag and drop system to more complicated options like Wordpress or Joompla export. Get slider ideas and options which will help you start using WOWSlider complete pattern and effect library. Effortless and amazing customization tools offer you full control over each theme. Modify the font, controls, animations, color scheme, and all main web design elements from a simple interface. Combine these personalized elements for many design options. The 3 step interface is straightforward and simple to utilize - Simply drop pictures you need to include as slides. Select the options, effects, and style you desire to utilize. Save your just built carousel as a Wordpress plugin, Joomla module, or stand-alone web page, with the Insert-to-Page Wizard inserted in web page, by using the built-in FTP client, publisher server. making a carousel with WOWSlider is effortless. The flexible drag and drop interface assists you to create carousel quickly and easily. Efficient layout and publishing elements help you give attention to your content while WOWSlider app takes all the weight in the background. The WOWSlider application can help you determine goals, manage major carousel components, and layout. Discover additional inspiration from working demos and pattern collection. 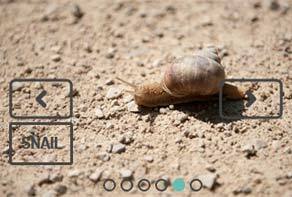 Create your slideshow from the ground up using support from WOWSlider intuitive interface. No matter if you're totally new to web creation or you're a highly skilled coder, the WOWSlider contains slider suggestions for every skill level. Want to see a preview of what your recent slideshow might look like on the internet? 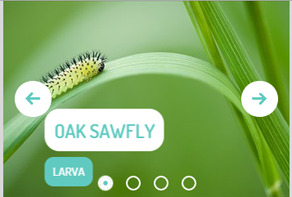 Within the live preview area of your slide show, you can modify and change your pattern to make a special look. Build a high-quality slider which attains your aims. WOWSlider affords online support, tutorials, email assist and a number of resources to help you every step of the way. If you are making a slider for the first time, the detailed educating guides will take you through everything you have to know to make your carousel working. The WOWSlider brings the ease of drag and drop development to slideshow programming. Generate splendid product descriptions with slideshows and videos. Effortlessly reorder images for maximum visual appeal. Simply share your sliders on Facebook. Create a dynamic picture gallery in just several clicks with WOWSlider robust builder. Simply select and drop pictures to benefit from WOWSlider complex transition transitions, automatic resizing, and collection of original gallery themes. Total control over style and structure permit you to generate exceptional sliders. Full effect, template, and controls personalization provides the key navigation and interaction elements. Sophisticated options enable you to modify more depth options to fit your distinct needs. If you can think it up, WOWSlider can generate it happen. Develop and acquire the photo or video slide show up and running quickly. Effective publishing and content options give you full management over the slideshow. Use WOWSlider high-quality theme collection to impress people with expert multimedia showcases. WOWSlider offer everything you need to add a beautiful slider to your website. No matter whether you opt for funny Bubbles, interesting circles, mysterious shades, or if perhaps you choose the simplest style with the offer, it will be easy to make a unique website that may promote your company during a great manner. By doing this you will have more traffic, thereby, the sheer numbers of your customers will increase. This means that your profit will boost, and as such you will have the chance to be described as a step before your competitors. This may be your perfect possibility for succeed. An image carousel is the perfect accessory for any webpage and will definitely provide a polished and professional look. Even the standard web site design will look brilliant with the addition of a photograph carousel. 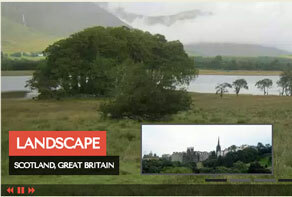 WOWSlider hosts a range of picture carousels. You can pick from on a dozen different image designs and 7 different effects. 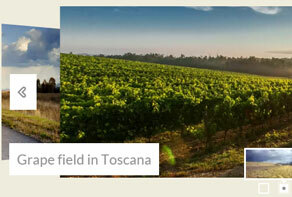 WOWSlider has picture carousels which are not only nice aesthetically but easy to use. Their photo sliders are really easy to download and are simple to personalize using your pictures merely by dropping the pictures into position. The image slide shows on WOWSlider are convenient in this particular they work with a number of browser types, including cellular phones. Altering the rate for the slide show is a snap. To quicken or reduce the slides click the right and left arrows which seem to either side in the current slide. These arrows only appear once the mouse hovers over a photo, and they also disappear after the mouse is moved completely from the slider. Also they possess some volume effect. This gives to get an uninterrupted take a look at each picture. An alternative for slowing down, quickening, or even just skipping ahead and returning should be to go through the pictures during the scrolling sidebar. This type of demo is with an auto play option nevertheless it is equipped with a skip back and forward with a pause button the fact that the user can utilize to pause or skip ahead with the images. These buttons are found in the less-left section of the slideshow. If the slideshow has reached the conclusion in the pictures, it loops itself to the start and starts again. You will discover the total number of pictures are while in the slide by viewing the Bubbles which appear in the bottom for each slide.